Drew Brees played quite poorly Sunday as the Saints lost to the Buccaneers, and it might not have just been one bad game. NFL Network’s Ian Rapoport says the Saints believe the 36-year-old quarterback could miss time with a shoulder injury. Ed Werder reported that Brees’s ability to play depends on how his treatment goes. 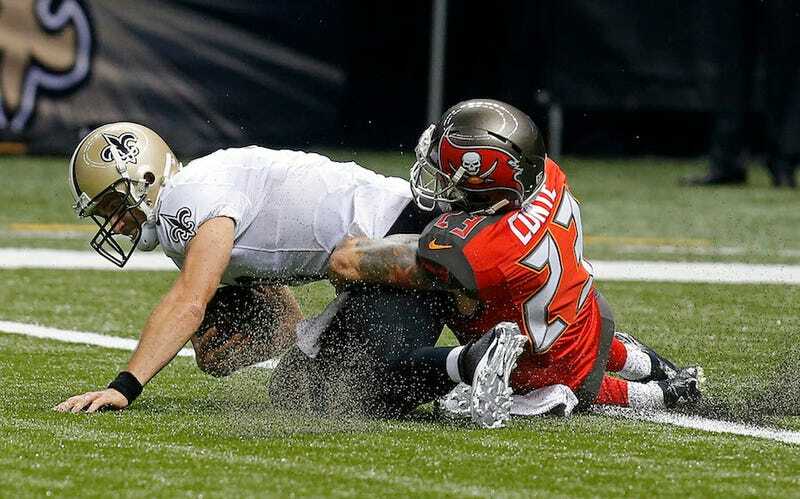 Should Brees miss any games, Luke McCown would take over at quarterback, and be as capable as a McCown can be. Beyond that, the Saints have a third-round rookie in former Colorado State signal caller Garrett Grayson.